Ok so I have a small problem. I'm playing with this on my server and mined a skeleton spawner with my silk touch pick. However, upon placing it down in a mob spawn area, nothing spawned. ss view is telling me it is a pig spawner. I went into creative and now it is a permanent pig spawner as in i can't change it through any of the available methods. Can you help me? Is there a way to make the spawners stack to each others? Is there a way that anyone knows how to make the mobs that spawn from spawners have different loot tables? I have another plugin that allows players to get heads from mobs, but this is ruined due to the ability of being able to farm them from mobspawners. Is there a way I can make the mobs that spawn from mob spawners have a custom loot table that differ from a natural spawned mob? 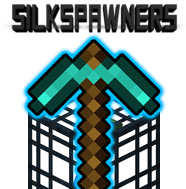 Is it possible to get a version of this that does literally nothing except drop a spawner when mined with silk touch? The game has the switching mechanic built in with eggs, and with EggCatcher I don't need any commands. Just literally need to be able to grab the spawners from dungeons. But every mod I see for this adds on a heap of features I do not need. Probably not possible just figured I'd ask. Thanks for making cool plugins! Is there any update for crafting spawners? Is it possible to make it so that players can ONLY change spawners with an egg and not do /ss change 61 (for example)? Nais already 1.13.1 came out and the plugin has not yet been updated to 1.13. Your comment does not help anyone. Now all the text is translated. Enjoy! Hello, I have the "preventXPFarming: true" option, but even so when I break Spawner, it increases XP, and the player can make XP infinite by putting and breaking Spawner... I've tried 4 versions of the plugin... Any solution? [17:33:58 ERROR]: [SilkSpawners] Could not find support for this CraftBukkit version. can someone explain to me why the plugins just mysteriously stopped working on our server? players cant place spawners without them reverting back to pigs even though they have always had the correct permissions to do so. ive contacted u personally but after 3 days i decided ive just leave a comment to see if this would spur a reply instead. disabling plugins wont make a difference as we've added nothing new... so what is it that you've changed?